The Office of the Secretary of Education and the Arts, on behalf of the Governor’s STEM Initiative, recently approved mini-grant funding to five Kanawha County schools. Herbert Hoover High School was one of the five recipients for their Flash Flood Water Level Sensor Project. 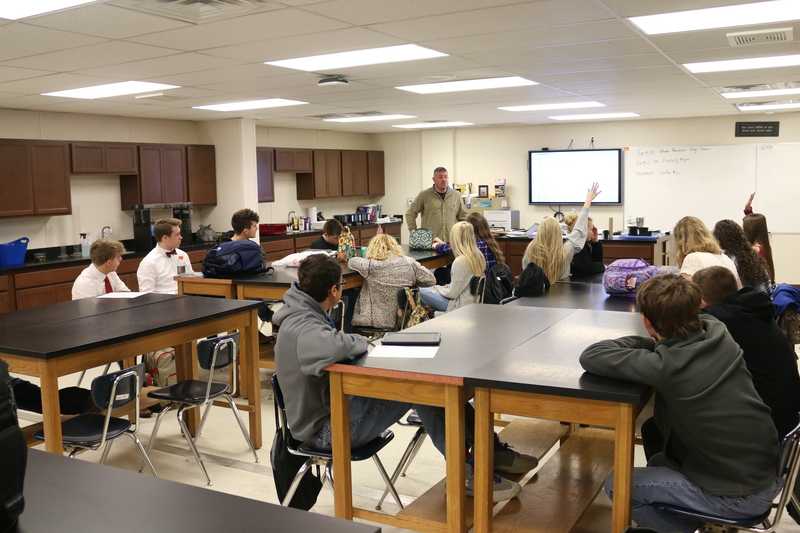 According to an announcement by Briana Warner, Communications Director with Kanawha County Schools, the mini-grant program supports learning in the fields of science, technology, engineering, and math across the state of West Virginia. Selected schools were awarded up to $3,000 to implement their STEM project. The inspiration for Herbert Hoover’s STEM project was derived as a direct result of the 2016 Floods that devastated many communities in Southern West Virginia. 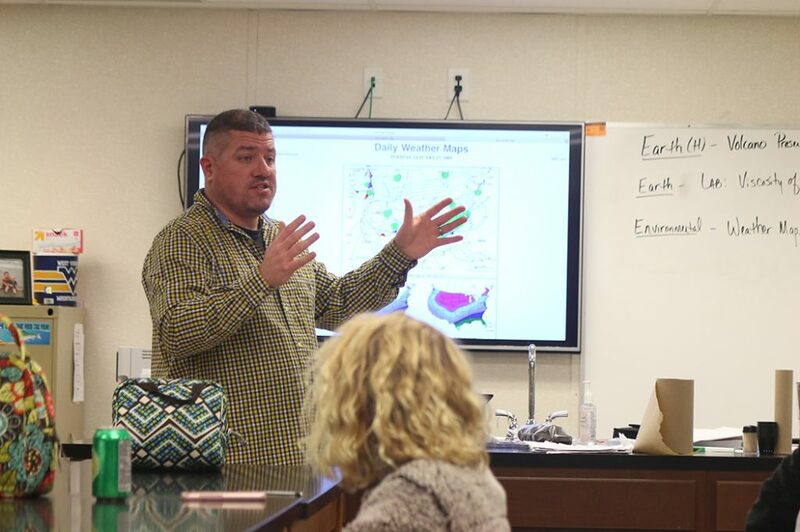 Along with their science teacher, Mr. Richard Parsons, who is the lead teacher for Hoover’s STEM mini-grant project, the students hope to create an early warning system to alert local residents and businesses of flash floods so they can better prepare for imminent flooding. Students will construct homemade water sensors from scratch using circuit boards, oscillators, sensors and wiring. The sensors will be wired to mini solar panels to obtain their power. These sensors will be tested in the classroom using different weather variables and conditions (bank erosion, velocity of water, floating debris, etc) to make sure they can monitor and withstand the different elements. Students will also code the sensors to send SMS messages to cell phones alerting residents of rising water levels. 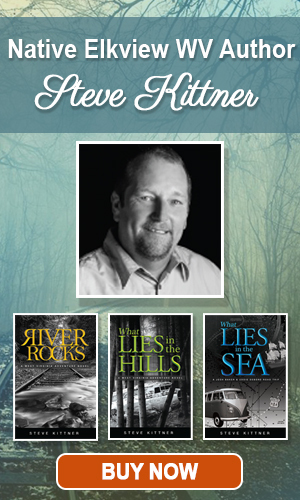 Students will run a test, analyze the data, and place them along the Elk River to monitor and track the progress. The overall goal for the project is to provide the community with some sort of alert system that will notify them of rising waters. According to Mr. Parsons, his 4th period class came up with the design and all of his students will be participating in the project through its completion. The supplies for the project have already been ordered and he anticipates having supplies in hand by the end of February, or the first of March. It is interesting to note that the students will learn computer coding in order for notifications to be sent to mobile devices about rising waters. 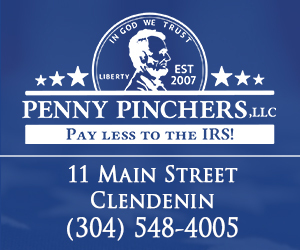 The Clendenin Leader will be doing follow-up stories throughout the project until it is complete to let the community know about their progress. 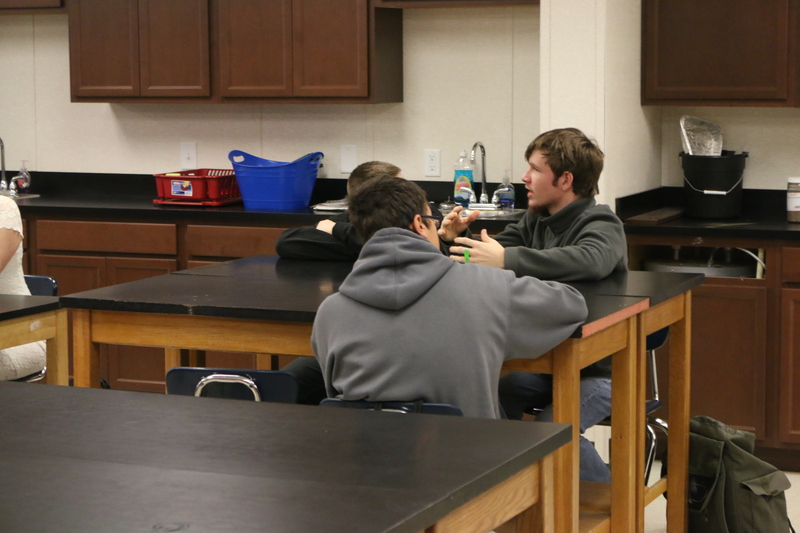 Marc Radcliff, a junior at Herbert Hoover, answering a question that Mr. Parsons posed to his science class. Photo by Mark Burdette. Herbert Hoover students engaged during Richard Parsons science class. Photo by Mark Burdette. Herbert Hoover High School Entrance. Photo by Mark Burdette. 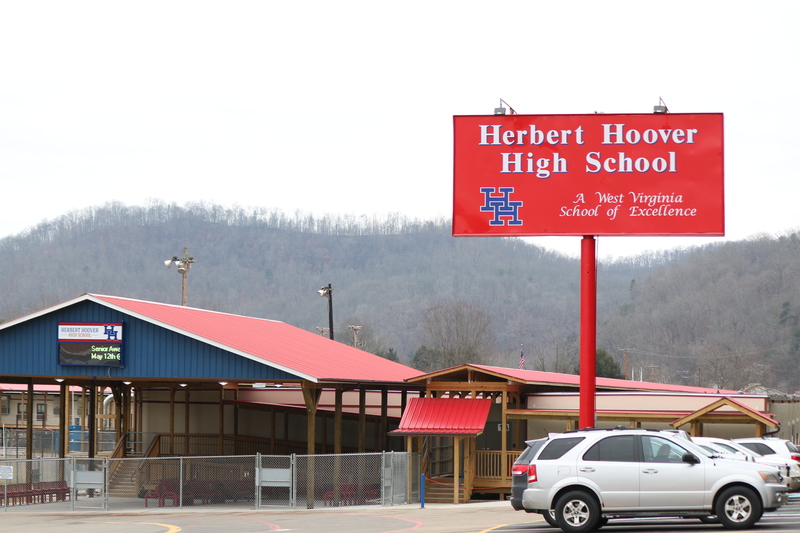 Herbert Hoover High School with Elkview Middle School in the background. Photo by Mark Burdette. As a member of the community it is great to see our young people respond to a negative situation and turn it into a positive one. Time and time again when we see tragedy, it spurs innovation. It will be exciting to see this project develop right before our eyes. 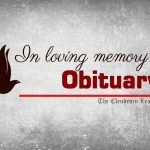 The funds were announced by the Office of Education and the Arts. 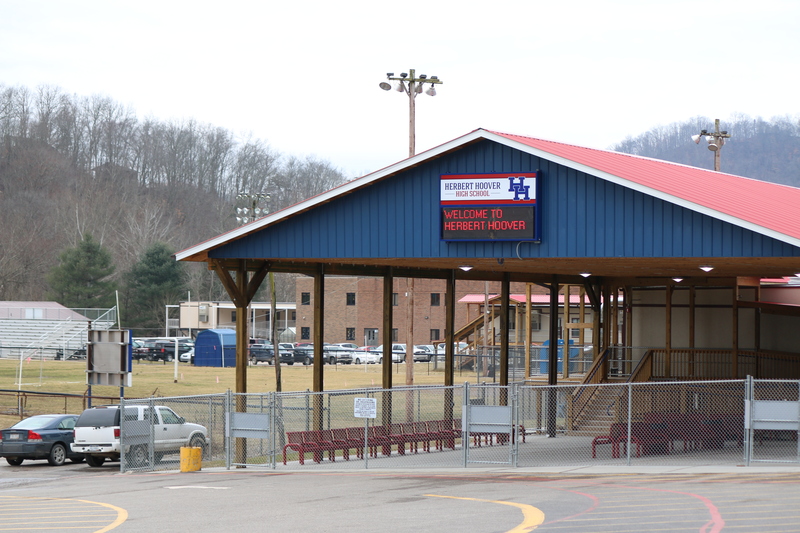 A total of $200,000 was approved for 84 projects across the state – five within the Kanawha County Schools system. The Governor’s STEM Initiative, within the Office of Education and the Arts, works to support STEM education opportunities for West Virginia students in order to fuel their interest in STEM professions and increase the number of graduates in these fields. 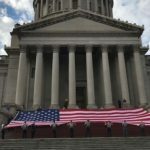 For original press release click here and see the other great projects that were awarded to Kanawha County schools – https://kcs.kana.k12.wv.us/Article/4190/five-kanawha-county-schools-awarded-governors-stem-initiative-mini-grants. Also, Walton Elementary/Middle School and Roane County High School received grant funding for their STEM projects.